Style Hatch is proud to introduce Origin West, a fierce theme laced with color, lots of personality, and a bit of shine to show off a collection of noteworthy posts. This premium Tumblr theme featuring unique layout with a central and contrasting edge as it alternates your posts. 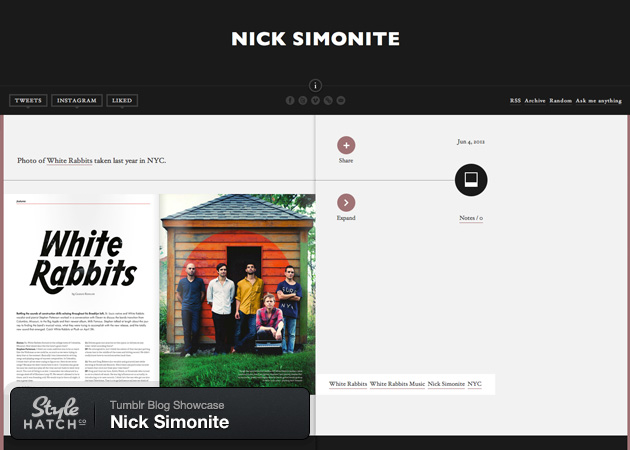 Fully responsive layout that adapts from the largest screens down to an iPhone, infinite scrolling, display recent tweets and shots from Instagram, sharing buttons for Twitter, Facebook, Pinterest and Google Plus, comments powered by Disqus, built in Google Analytics and Clicky tracking, color options and Typekit for custom fonts. Origin West has built in support for group blogs, sharing on Facebook, Twitter, Pinterest, and Google Plus, comments powered by Disqus, Instagram feed, and posts you like. Also in the appearances options you’ll find nearly 30 social profile icon links. 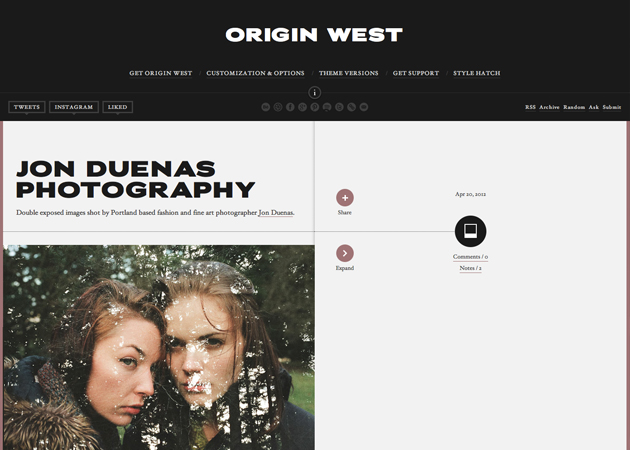 Although Origin West was designed to be a monochromatic theme, you still have the ability to modify post type colors, accents and quite a few layout options. Check out our introduction post for a full list of feature, along with a short description explaining each option. From the largest monitors to tablets to mobile devices, Origin West was designed and optimized to look amazing at any size. If you want to use the mobile theme included with Origin West, make sure you go to Customize > Advanced and uncheck “Use optimized mobile layout”. Turn on infinite scrolling to allow your visitors to quickly and easily view hundreds of your posts at once. 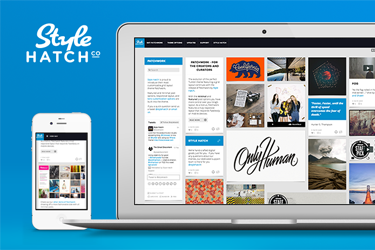 With every premium theme by Style Hatch we have built in Disqus comments. Disqus is by far the easiest to add comments to your Tumblr blog, and your users can use Facebook, Twitter, Google or Disqus to log in and leave comments on your posts. To setup comments with your blog you'll need to register a Disqus account for your site. After you fill out the information and submit it, grab the site short name you selected and paste it into Customize > Appearance > Disqus ID. All of our themes actually come with two analytics options built in, Google Analytics and realtime tracking with Clicky. To setup Google Analytics sign up for an account following the simple steps. Once you have your site information added Google will provide you with both a Google Analytics ID and embed code. You only need to grab the ID (UA-000000-1 format) and paste it into Customize > Appearance > Google Analytics ID. Make sure you do not have any spaces before or after the number when adding it. Alternately (or in addition) you can use Clicky to see in realtime what people are doing on your site. It is a paid service, but you'll get a lot of usable information that Google just does not provide. Sign up for a Clicky account and paste your site ID into Customize > Appearance > Clicky ID. Show off your latest shots with Instagram on your sidebar. On our site we have a simple way for you to authorize your Instagram account along with the easy setup steps. 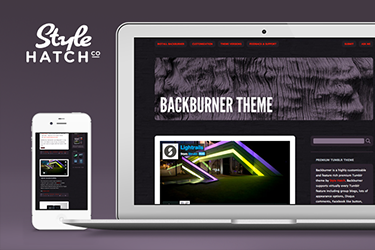 Want ultimate control over the typography in our themes? Typekit is fully supported in all of our themes through the appearance options. On the Style Hatch help site we published the basic steps involved in setting up Typekit for your site, or simply watch the video tutorial and follow along. How do I get the theme updates? How can I add titles to my posts? How can I hide posts I like? If you want to disable it go to http://tumblr.com/preferences and uncheck "Share posts I like". Can I setup categories for my blog? Help! I accidentally bought the premium theme for the wrong blog. Can you move it over for us? I wish we could help you out, but as theme designers we simply do not have access to Tumblr's payment, credit and admin systems. If you send an email to support@tumblr.com I'm sure they can help you out. 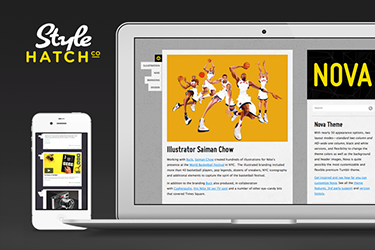 Does Style Hatch create custom themes? Unfortunately we do not take on any custom theme projects. Rather we're pouring all our time and energy into providing the best premium themes and over the top support. Since all of our premium themes are highly customizable you could always start with one of our existing themes to customize. 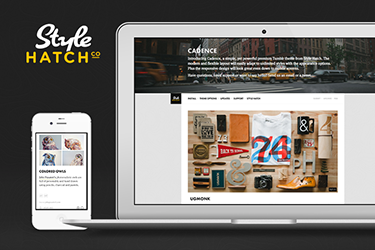 If you email us at support@stylehatch.co we would be glad to help you out. 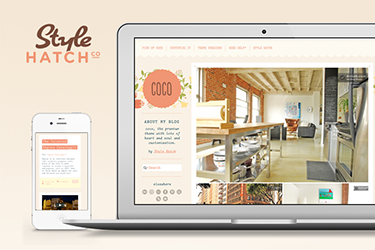 Highly customizable, clean, and modern theme, created by Style Hatch, that comes with 3 custom styles. 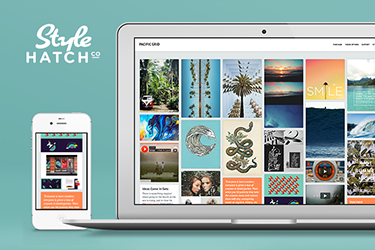 Flexible grid-based theme by Style Hatch that gives complete creative freedom and is perfect for sharing creative inspiration! With a choice between a two column layout and a single, HD layout Nova by Style Hatch will give you unlimited appearance options to match your look. 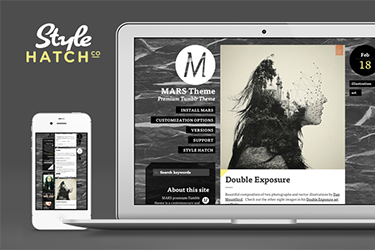 MARS by Style Hatch is a modern and bold theme that makes a statement that comes with multiple layout options—normal, HD and grid—and lots of customization! 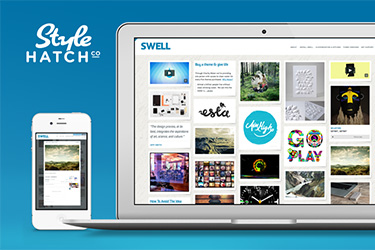 An expandable grid premium theme by Style Hatch that “swells” the page with visual posts and features a lightbox post view. 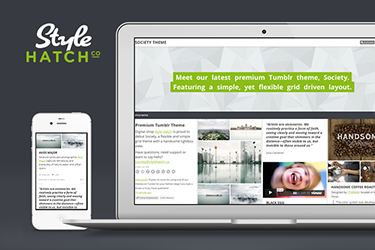 A futuristic yet friendly grid style Style Hatch theme that is extremely customizable. 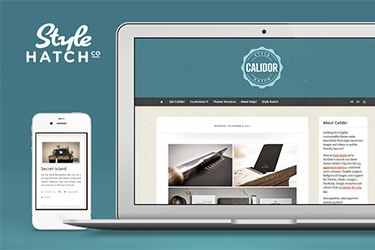 Elegant and classy premium theme by Style Hatch that gives full control for customization. Juuvy by Style Hatch is a highly fashionable & chic modular grid with adjustable post sizes. 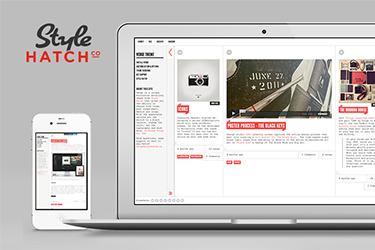 Highly customizable theme by Style Hatch with a bold look that scales beautifully from high resolution images and videos to mobile friendly layouts. 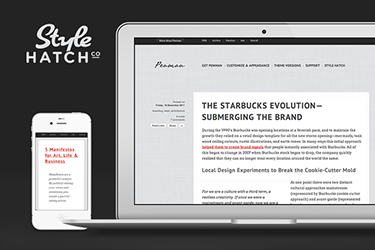 Penman by Style Hatch is cosmopolitan, well cultured theme can handle heavy text post and large imagery. It’s for someone that has something to say! 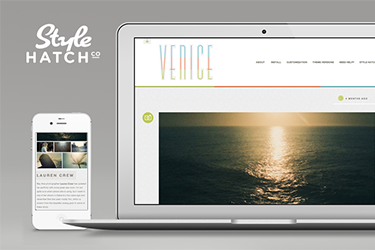 Not an ounce of attention to detail was left out when the polished theme Venice was created by Style Hatch. Highly customizable, high resolution and highly attractive. Made with lots of heart and soul, Coco by Style Hatch comes in three unique flavors Creamy (light and floral), Bittersweet (brown) & White (neutral grey). As a bonus version 1.2.0 adds a grid layout! 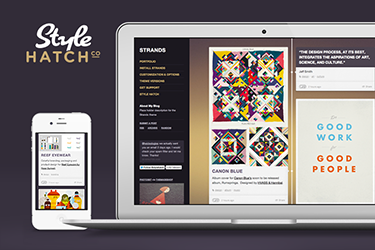 Strands by Style Hatch is responsive premium theme designed to close the gap between your blog and portfolio needs. 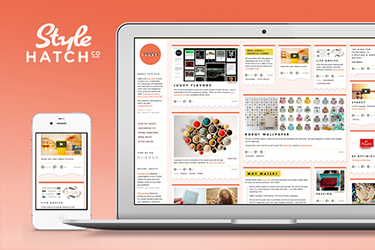 Featuring a flexible grid layout, bold post viewer, endless color options, and well polished features, Society might be Style Hatch’s most versatile and customizable theme. 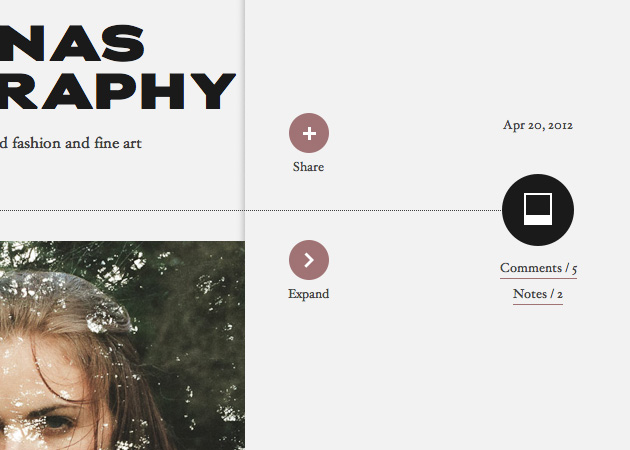 A simple, yet powerful theme designed for highly visual blogs with long-form written articles. The modern and flexible layout will easily adapt to unlimited styles with the appearance options. 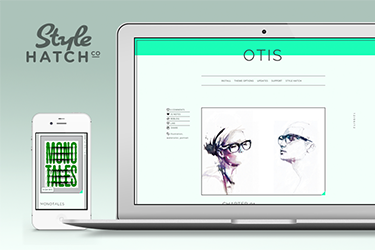 Featuring simplicity and a fluid grid system, Otis is minimal premium theme giving you the freedom to install it, make a few adjustments and start posting. 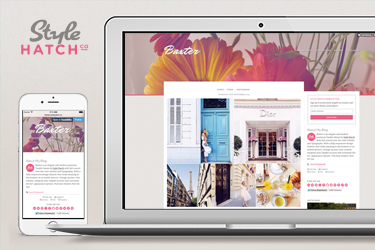 Style Hatch is proud to introduce their most customizable grid layout theme Patchwork. 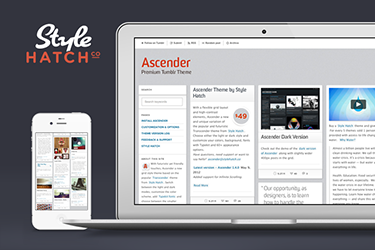 Featured and minimal post options, responsive layout, and tons customization options are built into the theme. 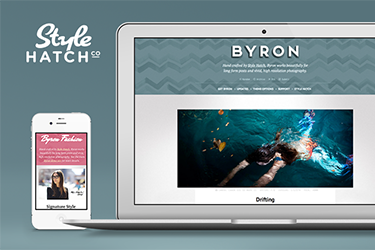 Hand crafted by Style Hatch, Byron works beautifully for long form posts and vivid, high resolution photography. 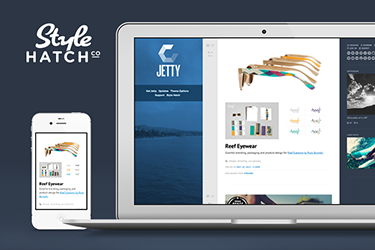 Introducing Jetty, a thoughtfully designed premium Tumblr theme to channel for your ideas, inspiration and musings on Tumblr hand-crafted by your friends at Style Hatch. 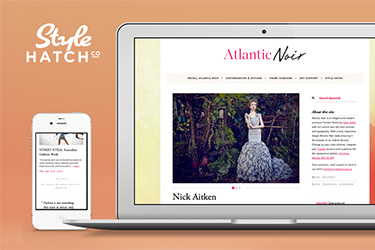 A highly visual theme from Style Hatch that puts your content at the center stage. 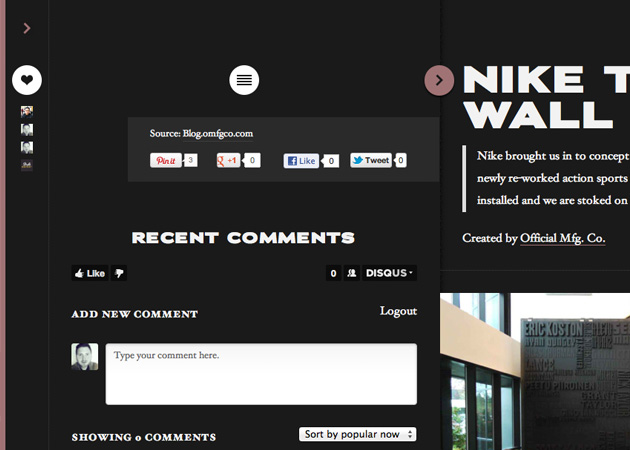 With the flexible grid layout and post overlay, your visitors will find it easy to quickly browse through your posts. Baxter is a stylish and highly customizable theme featuring strong typography, full featured sidebar and a more traditional blog layout.